Home » Ye Ol’ Blog » Chuck Lee Customers » I couldn’t be happier with my Chuck Lee experience. It’s about five months since the beautiful banjo Chuck built for me arrived, and they’ve been the best five months I could imagine. I told Chuck I wanted a banjo primarily set up for playing with Nylgut strings and asked him what would be his ideal design. With little hesitation he suggested the Chalk Mountain with a 3” deep rim and an ebony tone ring. Chuck told me he loves to work with walnut which I really like as well so we decided on an all walnut banjo. I told him that I liked the look of the Cottonwood peghead the best, and that I wanted the banjo to look as natural as possible to highlight the walnut instead of any inlay. Working through the banjo design with Chuck was fun and efficient, and when my banjo arrived it was everything I could have hoped for and more. Simple, beautiful and very light to hold were my first impressions, but upon strumming across the strings that first time I realized that this banjo was different, clear, crisp and explosive notes rang out and with such warm tone. 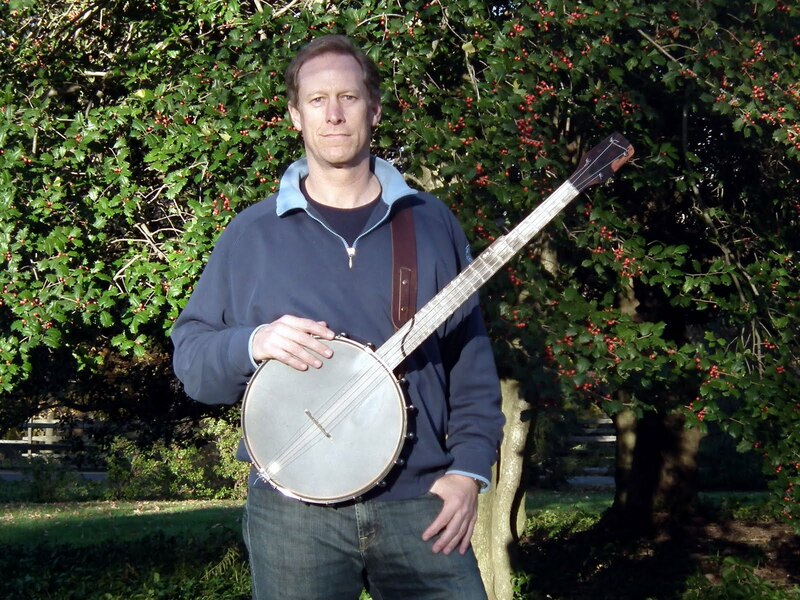 I was so pleased by the combination of Chuck’s work and the Nylgut strings that I knew immediately this was a special banjo, and one I’d have for life. I recently decided to put Chuck’s preferred Elixir strings on to hear what they would sound like and was not surprised this time to hear how awesome that transformation was. Steel strings on that deep walnut rim and the ebony tone ring are just fantastic. I really feel like I have the best of both worlds, and I couldn’t be happier with my Chuck Lee experience. Previous post It’s all about the great customers. Next post European Customer says it all!